We’re not camping experts, we’re camping dreamers… but we’re pretty expert at it! I feel I have spent my life in pursuit of the ultimate camping and glamping experience. You could say I understand the passion… …and as you’re reading this you must understand it too! Everyone enjoys camping for different reasons, but for most, it’s a chance to strip life back to basics, take only what we really need and what’s precious to us, and secure some mind-blowing memories as we go. Camping may only be one word but it means many different things to different people. Whether you’re someone who likes to set off with just your walking boots and canopy, or if you prefer to pack your patio furniture and heater, there will be something for you here to help you plan your next outdoor camping or glamping adventure. We’re a camping information creator, aggregator, developer and inspirer. Motivated by our own passion to camp we draw on our experiences and that of others to bring tips and trick from across the web while adding our own secret sauce to spice things up a bit. But we’re also business experts too. Having run our own for decades we offer glamping business and unique holiday rental advice to those who want to explore this part of the hospitality industry. But building a successful unique holiday rental business takes time and effort, so we share proven strategies to help you get there faster so you can turn your own passion into profits. If you want to find out more of the business side of what we do, please visit Inspired Courses or listen to the Podcast Show. Sarah Riley, Founder And Glamping Industry Expert: Sarah wears many hats! She is a Performance Coach, consultant, trainer, freelance writer, glamping business coach, inspirational speaker and Book Project Manager (yup… many hats!). It’s terrifying to start something new, and difficult to know who to trust to give you the right help, advice and tools for your journey. But now more than ever you have everything you need within easy reach. You simply need to know where to look… and that’s where Sarah can help. You can find out more about Sarah and how she became the Founder of Inspired Camping and the host of her Podcast Show by reading her story on Inspired Camping, in The Mail and on Holstee who all published her story. Also, check out Inspired Courses, where she offers bespoke training and advice about lifestyle business, and Inspired Zest For Life where she offers Performance Coaching and lifestyle design tools and inspirations. Her writing has been published in The Metro, Glamping Business Magazines, on the Forbes listed Birds on The Blog, Expert Enough, Bonbon Break, Mums The Boss, Mums The Blog, Amazing Spaces Channel 4 Scrapbook, Brit Mums, plus others. Sarah manages to escape to the camping wilderness whenever she can and enjoys foraging for wild foods and finding treasures in hedgerows she can turn into her own specially prepared meals, cider and wine. 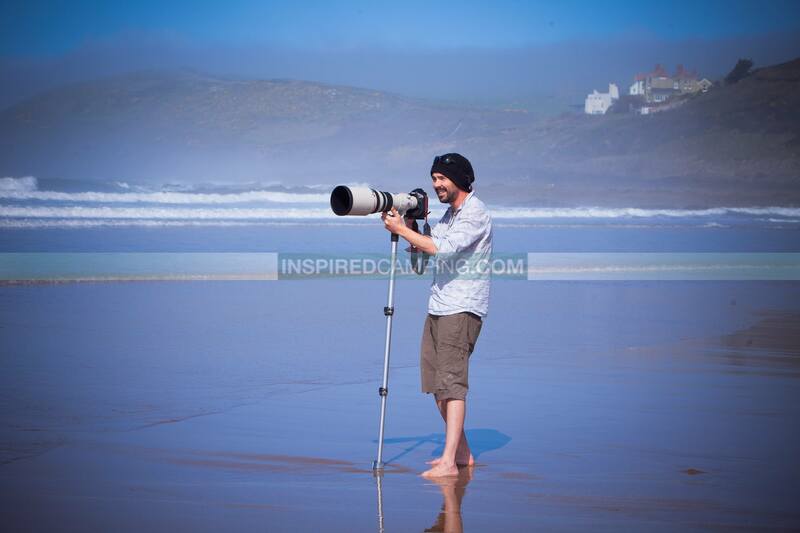 Roy Riley, Contributor And Chief Photographer: A Professional Photographer and Videographer with nearly 20 years in the industry has worked for The Times Newspaper, A-List Celebrities and corporate clients across the world. Roy works on all kinds of projects including lifestyle shoots, around the world yacht races, PR campaigns and property branding campaigns. He is also a lover of the outdoors with a passion for surfing, who is equally at home in a wetsuit as he is in a suit. If you have dreams of running a unique accommodation business or already do, listen to the Podcast Show or visit Inspired Courses to learn how to set up a glamping business, uplevel your marketing, strategise your future business growth and get the support you need.